I am a Millennial, one of that confused generation marked by—among other traits—more socially liberal beliefs, less economic opportunity, a spoiled familiarity with perpetually networked technology, and a globally civic-minded idealism marred, ironically, by a ballooning disenchantment with the nonprofit world. It is from this background that I began working for Canvasback Missions almost one year ago. My trip to Majuro this May and June with our orthopedic and dental teams was my first palpable experience with Canvasback. I had spoken and written about what the organization does but had not yet seen it. I watched my first surgery; our medical team repaired a 6-year-old’s supracondylar humerus fractures (or, in the language I speak: a complicated broken elbow). I spoke with the people who came through our Wellness Center for diabetes classes or healthy meals each week. I got to evaluate our overseas operations and ethics through a critical lens cultured by so many accounts of other nonprofits’ fund-pilfering, environmental ruin, and dependency systems. 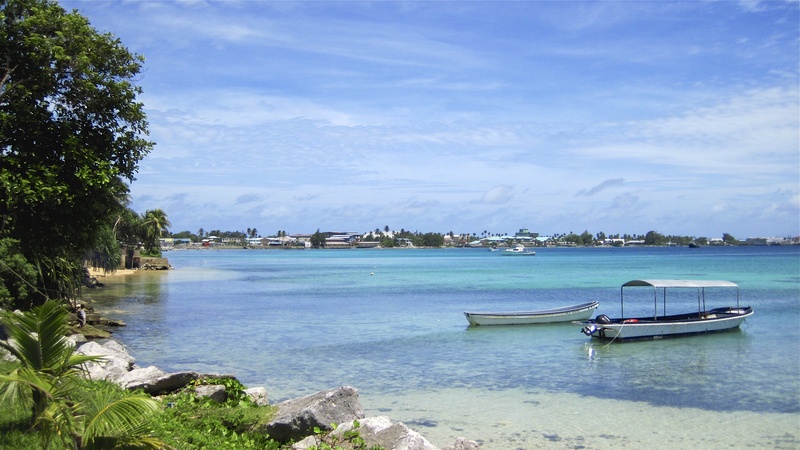 In the Marshall Islands, people suffer ailments and injuries that wouldn’t be tolerated where I live: San Francisco, a center of diversity and technology and top-notch health facilities. I knew this, but having a firsthand visceral experience still caught me off guard. The pathology on Majuro was so severe that the team couldn’t operate on everyone who needed it. Instead, they chose to perform the most pressing operations possible with the available equipment and facilities. 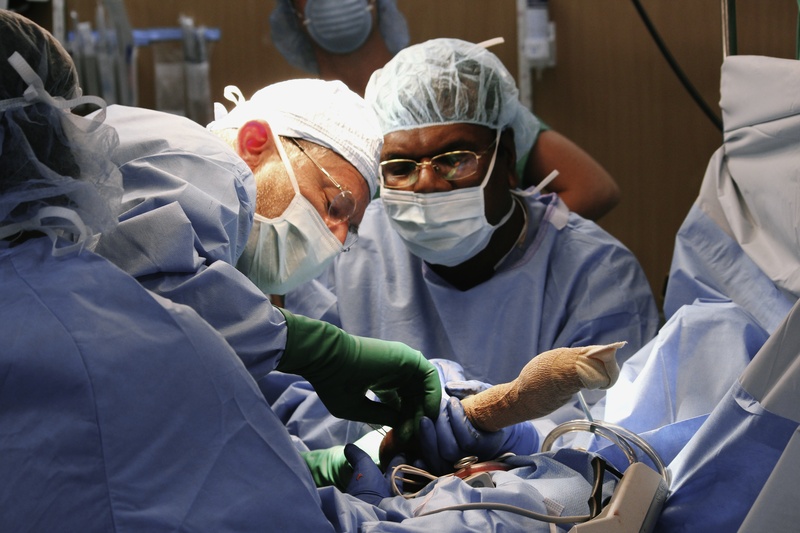 In only two weeks, our orthopedic team saw 323 patients and performed 34 surgeries, including the one I saw above. These weren’t just minor surgeries, either; our team’s accomplishments include total knee and hip replacements. Just like I’d been reporting for months, our statistics showed us to be wildly successful—success being the measure of efficiency, volume of procedures, and value of services provided. We provided over $1 million worth of care at no cost to the patients who came in to be treated. These figures are certainly impressive. I came to a realization, though: when you reduce patients to raw data, the people behind the numbers are lost. On paper, Canvasback is effective. We produce value and results for patients, donors, and the RMI. More than that, though, we work for and with amazing people. Unfortunately, positive sentimental perspective isn’t the most practical thing for important nonprofit purposes like fundraising. Representing a people as bright, strong, and hard-working doesn’t always raise as much money as portrayals of weak and needy folks. Our videographer Brian and I ran into the problem of representation while drafting a frame by which to shoot a promotional video. A standard nonprofit fundraising tactic is to get footage of “squalor.” As we brainstormed, we found this portrayal left us with a bad aftertaste—true, these things are found everywhere, but so are the greatest of qualities. So, we drew on our experiences to find a truer frame. 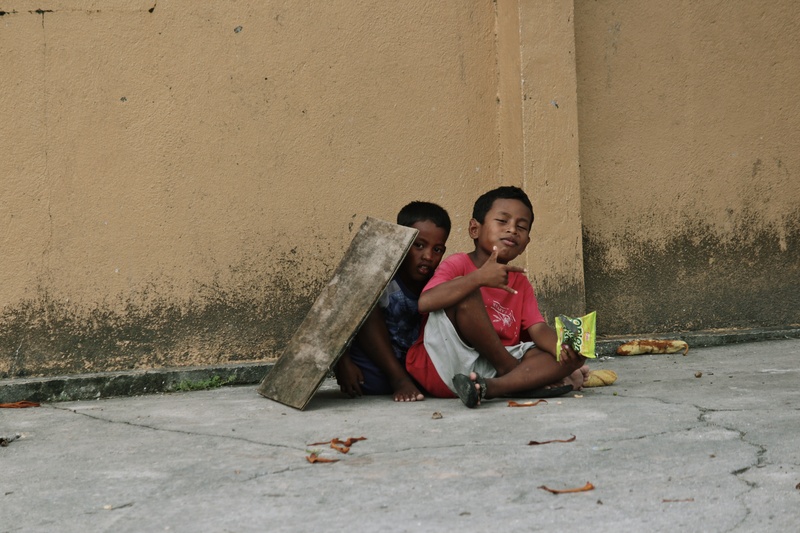 We considered the troupe of boys who sang for us by the roadside one night. They were poor, no doubt, but we chose to define them by their music—raw, wistful, haunting harmonies sung in Marshallese about sky and sea and stars—rather than their economic statuses. We could have described the clothes many people wore as third-hand, holey, and ill-fitting—yet we chose to recount the beautiful signature muumuus, those loose-fitting dresses that threw out bright patterns and colors. 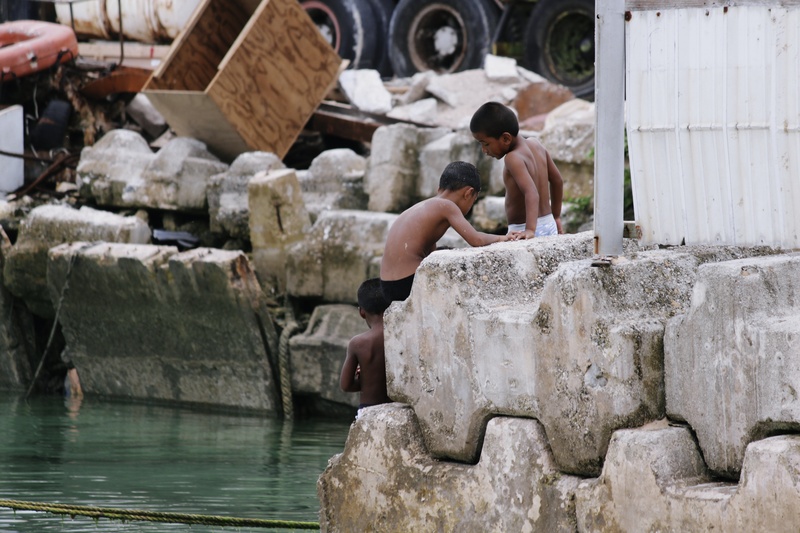 We witnessed both the poverty and the allure of the Marshall Islands. While showing footage of squalor would be “honest,” it wouldn’t provide a complete picture. Yes, images of wretchedness can be found there—but exquisite moments are equally present. The same can be said of the US, and of the rest of the world. In the end, the most genuine term we could find to describe Majuro was “beautiful.” In song, land, and people, this rings true. Showing the worst parts of the country would bulldoze over key attributes that define it: the penchant for dance, the rascally children, the familial acceptance of strangers. Canvasback strives to keep balanced representations. 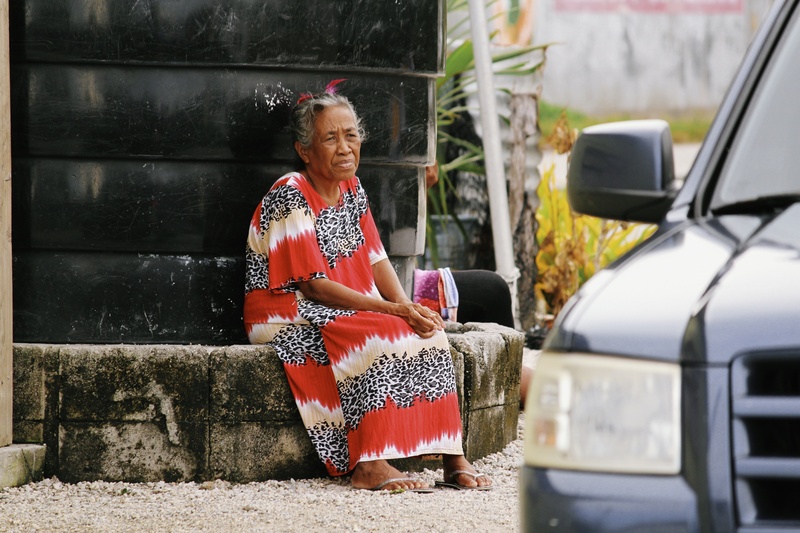 The light we portray Micronesia in is not entirely morbid or plaintive, but we’re confident our discerning supporters will know that the needs and problems are still present. We appreciate their continued support, financial and otherwise, during this transition. Since putting my “feet on the coral,” as founder (and my boss) Jamie Spence says, I better understand what we do. After running our work past the criticisms of my liberal quaternary education and generational perspective, I approve of Canvasback’s hard work. I’ve seen the tears, smiles, and renown Canvasback earns from changing lives. I’m proud to say that Canvasback—my organization—does great work with an exquisite people. I only hope we can portray this beauty. This entry was posted in Action, Global Perspectives, Uncategorized. Bookmark the permalink.